Fergus is from Lancashire and studied architecture at Glasgow School of Art, and London Metropolitan University, where he was selected as a standout student by BD Magazine. Fergus undertook the SPAB’s Lethaby Scholarship in 2008, and was awarded first prize in the Georgian Group's Architectural Drawing Competition (presented by HRH The Prince of Wales), later that year. From 2003-2006, Fergus worked for Martin Stancliffe Architects. In the role of Cathedral Surveyors, the practice undertook St. Paul’s Cathedral’s largest phase of repair and reordering since it's completion in 1711. At FCBStudios Fergus spent 8 years as church architect to Grade 1 listed Bath Abbey, and project architect for The Footprint Project. 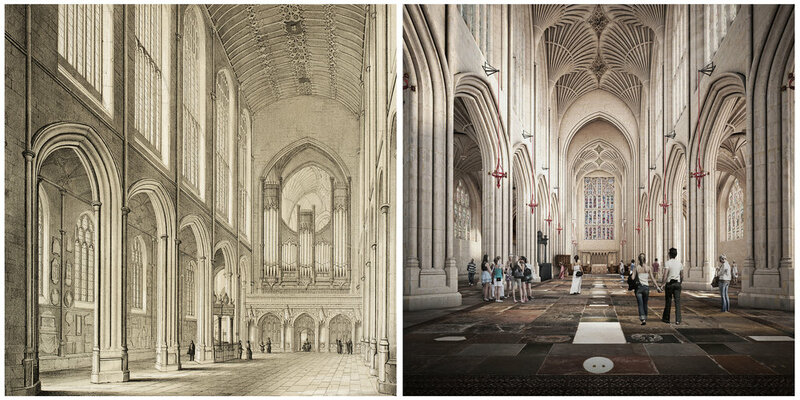 The project secured £10.5m of HLF support ahead of works to repair and stabilise the collapsing Abbey floor, whilst delivering the facilities to improve the Abbey’s status as Bath’s foremost choral music and events venue. At the heart of the project is a commitment to reducing the carbon footprint of the Abbey’s operation with a comprehensive services review and drawing renewable energy from the city’s hot spring water to heat the Abbey. During his time at FCBS he also worked on Ditherington Flax Mill, Windsor Castle’s Visitor Masterplan and new conservation studio for the Royal Collection, and authored The Burrell Collection’s Statement of Significance. Fergus lectures and tutors across the country on vernacular architecture and new architecture in sensitive settings. Charlie grew up in Somerset and studied architecture at University of Plymouth and the University of the West of England, during which time his work was commended by the SPAB Philip Webb award and shortlisted for the RIBA President’s Silver Medal. Since graduating he has worked for several conservation practices in the UK and abroad, contributing to award winning Heritage Lottery funded schemes. During 6 years at FCBStudios Charlie was the project architect responsible for delivering the heritage led regeneration of Middleport Pottery in Stoke on Trent for the Prince’s Regeneration Trust. The site was built in 1888 and has been home to Burleigh for 150 years, and is the last Victorian ceramics factory in Stoke-on-Trent that is still occupied by its original tenant. As well as securing the continuation of Burleigh’s craft, the brief sought to strengthen the economic sustainability of the grade II* listed site by introducing additional complementary uses, education spaces and visitor facilities, which opened the gates of the factory for the first time and allowed the people of Burslem to reconnect with their industrial heritage. The factory’s evocative time-worn character was safe-guarded through a commitment to light touch conservation, and the restrained refurbishment was awarded a national RIBA award, a Civic Trust AABC Conservation Award and a Europa Nostra Prize for European Cultural Heritage Conservation Excellence. Following his completion of the SPAB Lethaby Scholarship in 2014, he rejoined FCBS and was responsible for leading the design team overseeing the creative reuse of the former Guildhall court rooms in the heart of medieval Bristol. This included securing Planning and Listed Building Consent for the extension and conversion of the Grade I and II* listed buildings into a hotel complex. 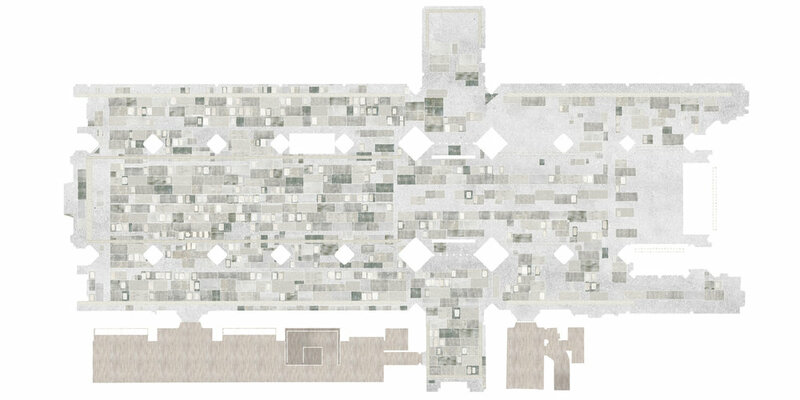 Charlie is an associate lecturer at the UWE Architecture School and guest critic in the Part 2 Conservation Studio. Charlie was elected to join the AABC Conservation Register in 2016.